Boko Haram's latest abduction of schoolgirls in northeast Nigeria has evoked painful memories for Yagana Yamane and Saraya Amos -- and for good reason. 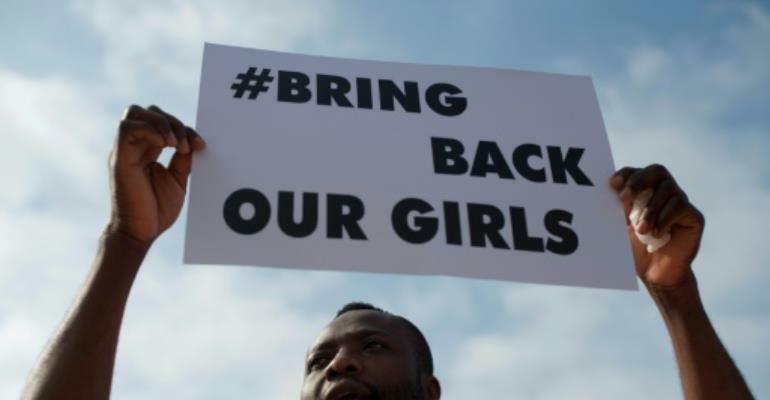 In 2014, the pair were among 276 girls kidnapped from their boarding school in Chibok, in an attack that brought world attention to the insurgency in Africa's most populous nation. "I shivered when I heard that some girls had gone missing after Boko Haram attacked their school in Dapchi (in Yobe state)," Yagana, 18, told AFP. "I immediately knew Boko Haram took them... The news evoked frightening memories of what I went through when Boko Haram came to our school and took us away. "I cried because it reminded me of my friends who are still in the hands of Boko Haram. I felt anguish and pity for the Dapchi girls because I can imagine what they are going through now." Saraya said she felt ill when she heard the news on the radio and began to pray: "Oh Lord! Help these girls escape as you helped us escape." The teenager said her "heart beats faster" every time she hears about the latest abduction of 110 girls, making it harder to recover from her own experience. "Images from what we went through when Boko Haram took us come back, which prolongs the agony I have been trying to forget," she said. "It's like thrusting a knife into a wound that's beginning to heal." According to Unicef, nearly 1,400 schools have been destroyed and more than 2,295 teachers have been killed since the start of the insurgency in 2009. In the same period, at least 20,000 people have lost their lives. "I was enraged and I'm still bitter that Boko Haram can still walk into a school and abduct girls like chickens," said Yagana. "I thought with the Chibok experience Boko Haram would never have another chance to do what they did in Chibok." "The government should please do everything to free these girls along with the remaining girls from Chibok. These people are killing our future," said Yagana.